Overcast with rain showers at times. High 54F. Winds WNW at 10 to 15 mph. Chance of rain 60%..
Cloudy skies early, followed by partial clearing. Low around 45F. Winds NW at 5 to 10 mph. 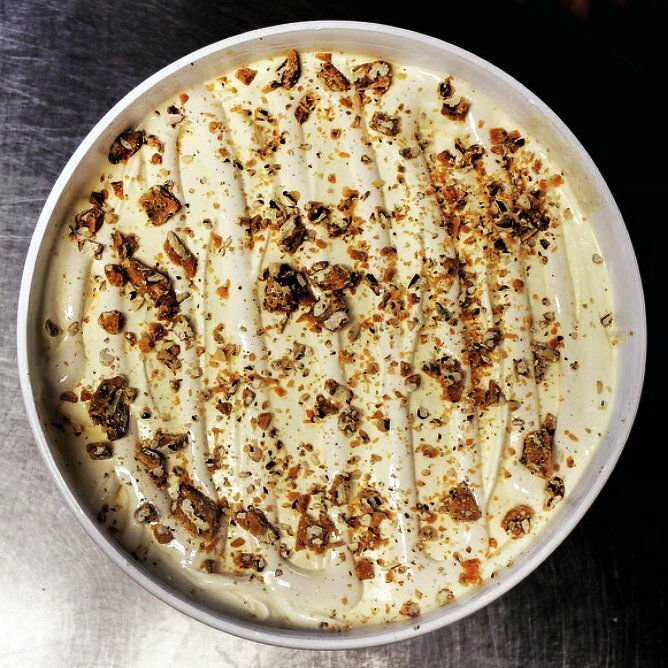 Frite & Scoop's signature ice cream blend, Hokey Pokey, is made with sweet cream custard and house-made honeycomb candy crumbs mixed in. Frite & Scoop co-owner Kevin Malcolm can often be seen handing out samples of his homemade ice cream at the shop along the Astoria Riverwalk. Frite & Scoop co-owners Kevin and Lisa Malcolm relocated from Seattle to Astoria in 2013 and opened their dream of gourmet ice cream commingled with salty, Belgian fries (or frites). The shop has become a local standard for all things sweet and salty on the North Coast. The ever-changing flavors are an ode to the wizardy of Kevin Malcolm, a former accountant who started making ice cream as a hobby and spent two years perfecting his craft before coming to Astoria. Frite & Scoop’s style is classic flavors with a twist, he said, while using the highest-quality ingredients, from the honeycomb-infused hokey pokey — Frite & Scoop’s signature ice cream — to the chocolate custard infused with Calabrian chili peppers. The shop employs a pantry chef, Katelyn Olsen, who makes the confections mixed into the ice cream. The ice cream comes in bowls, pints and sugar cones, along with traditional Norwegian krumkake wafer cones cooked and rolled at the shop, with a Hershey Kisses wedged into the base to prevent leaking. The frites are cooked to order in canola oil, with a wide array of house-made dipping sauces, from blueberry mayonnaise and Lemon aioli to malt vinegar and Thai peanut.